Available between 7 lbs and 28 lbs. 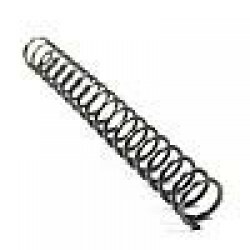 Conventional Springs are normally used with heavy recoiling non compensated models. For Use in: Colt 1911, 1911A1, 1911, Government, MKIV and Gold Cup models. Includes Extra Power Firing Pin Spring.